← Should I Spend Donuts on the Returning Hellfish Bundle,Battle Dome or Enriched Learning Center? Conform-O-Meter: Training grounds are Obedience +5. What does it Do: There is ongoing animation when one of the kids are performing a task there. Bart : Okay babies, pull up your training pants and put down your baby bottles. Milhouse : He doesn’t know how accurate that statement is. Martin : I must protest – I was born a lover not a fighter! Although I’ve done neither. Milhouse : My dad told me about his time in the army… I was expecting a preemptive dishonorable discharge like he got. Ralph : I can’t feel my hands. Which means I can be my own stranger-danger! GeneralBart : Okay, forget running drills, there’s no actual sundown in this town any way. GeneralBart : Okay let’s try this again. Milhouse : Whee, I suddenly have so much energy! I’m getting away with stuff! 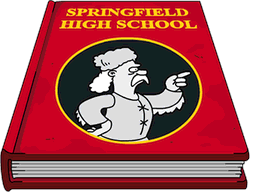 GeneralBart : NOW MOVE IT, MAGGOTS! Luann : Well, now we know what war is good for! 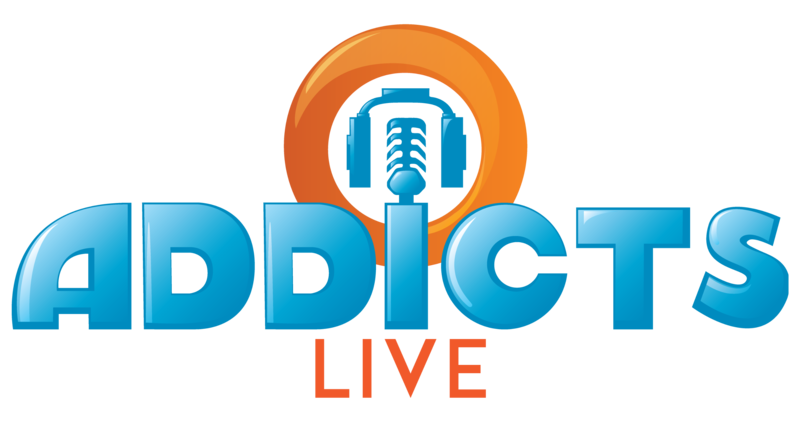 Bottles are earned, as well as game cash and XP…so, send as many kids as you can for each task for extra cash/currency/XP. Where are you in the game? What do you think of the animation of this prize? 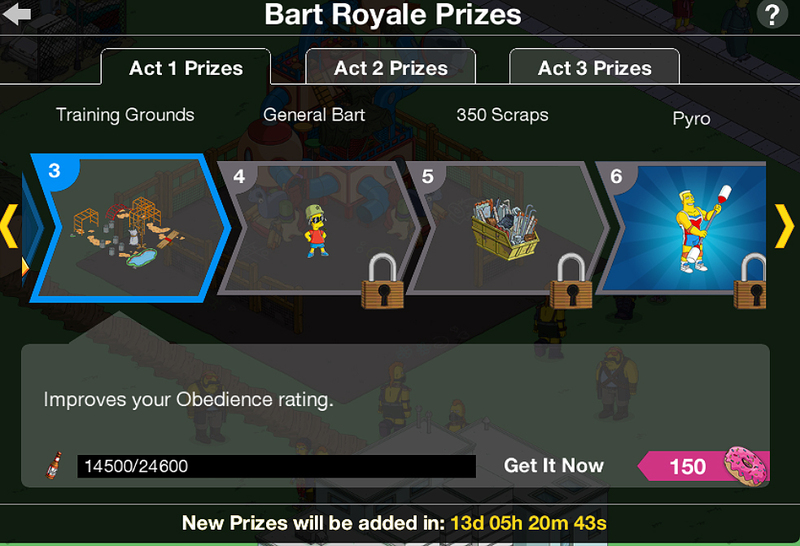 This entry was posted in Tapped Out and tagged Bart Royal Training Grounds, Bart Royale Act 1 Prizes, Tapped Out Tips and Tricks, The Simpsons Tapped Out, TSTO Addicts, TSTO Tips & Tricks, TSTO Tips and Tricks. Bookmark the permalink. Another no permanent tasks item? Bummer. 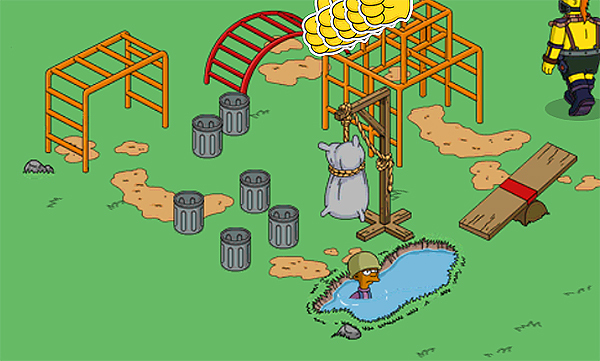 I earned General Bart a couple of days ago, have had my first round of bonuts and will get the 350 scraps today. So that’s me done for the Act. I’m not interested in Pyro. I’ll keep tapping ruffians when I see them and maybe do a daily challenge if it’s worth it to get a second bonut round or some more crafting currency but I’d rather my characters earned cash and XP. This event isn’t really one for me – I’m crossing my fingers for Valentine’s Day! im at 32.5k and have been behind for 2 days since the start. how do i catch up. i do the 4 hour tapping at least 5 ~6 times a day and im still behind. what am i doing wrong?? 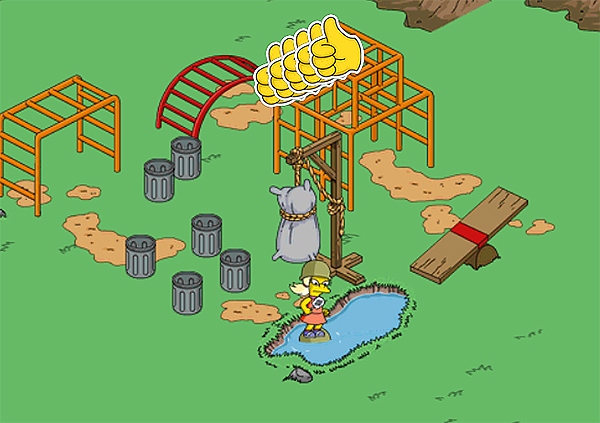 my playscape is at 12.25% and im on level 5. xP almost close to getting general bart. I’m having issues keeping up! Life continues to plop in when I least need it to in order to continue the events. My wife says I have a problem. I don’t think so… It’s not an addiction (it is). Currently, I believe I’m right around the mark from 2 days ago. I just started the questline for the training grounds. Any way besides spending cash that I’ll be able to keep up with the timeline? Advice please! There is a ton of time left in this Act…so just tap as much as you can. I am sure you’ll hit the mark… Just make sure you have everyone who CAN fight the battles, doing so. If you can set your timer for every 4 hours…it will take just a couple of minutes to clear and reset the battles. You can do it anywhere you have a connection…so tap, tap, tap! Thanks brother! I’m working on it! How about the war being because these damn kids are still living at home even though they are in their 30s? LOL… welcome to life with Millennials… at least statistically. Actually, we have been blessed with five, industrious and independent girls. Not a “boomerang” in the bunch! Got Bart’s skin last night. I am on his second task. Are the tasks necessary to complete? They do give bottles but no crafting currency. I’m about to get Bart’s skin, can you give details on his tasks please? We have a post on General Bart in the can… Alissa will likely run it this week. I am one day behind as my download didn’t come through for almost 24hrs after the event started! I’m hoping I catch up. I have a weird problem with my game – when I logged on earlier, all the mini-events that I completed when they came out popped up one after the other (I had to clear each). After that, when I click on character icons, my screen does not go to them. I now have the daily bonus we used to get, and the rail yard is once again restricted to one use/week. I called EA and all they did was send an email with troubleshooting tips, all of which I had already tried. Anyone else have this problem or know how to fix? Thanks! Very odd… have you uninstalled, and reinstalled with your correct username? Are you running more than one device (there can be some whacky stuff that happens when you “cross-play” on multiple devices. Is there a permanent task there once you finish general mischief 1 & 2? I was a couple of days behind as well because it did not automatically update and I thought I had to finish the ice cream building event first. I was so absorbed in the chili cook off. A past mini event I missed out on. 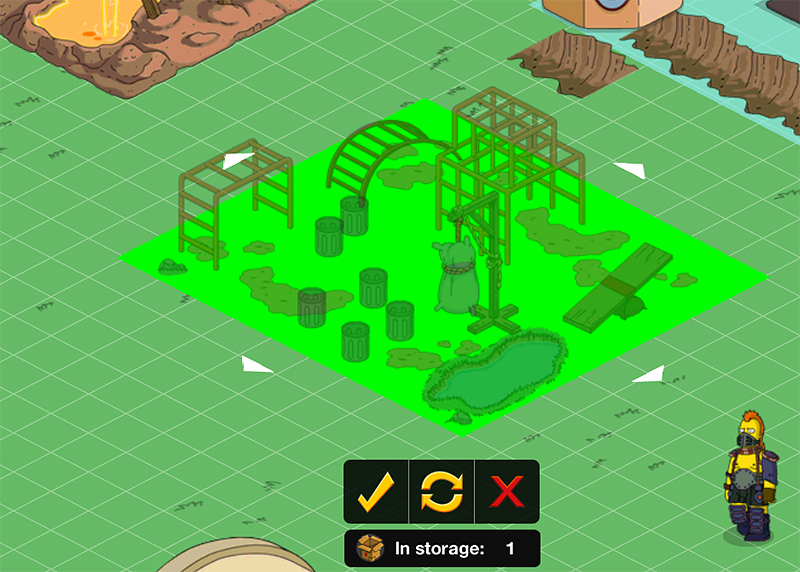 You should place the BART statue within the bonus perimeter during the event. It earns a fairly large percentage. Really messed up glitch here… when I first checked the quest (General Mischief pt. 1) I saw that the youngsters earned bottles – and quite a few of them! I decided to delay it, as it was a 12hr task and I wanted to do it overnight. Now, after checking again, the bottle rewards have disappeared, and the quest only offers cash/xp. The kids that have a task at the Playscape will earn bottles here….the others will not. How I wish I had read this post first! Me, too! I sent a bunch of freemium kids on them yesterday morning and overnight but since the playscape kids are always the first thing I clear and reset (so I don’t do something dumb like send them to recycle without thinking about it), I had no idea they could’ve earned bottles. I wonder how many I missed out on? 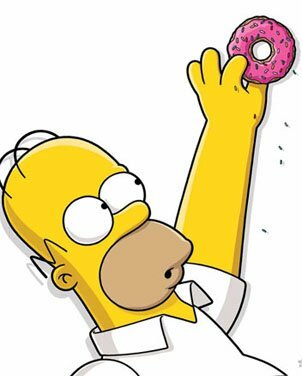 There are loads of ways to “cheat” using bonuts…so just stay on track, and be happy that you are playing the game well…and staying ahead of the calendar. As far as neighbors not playing….I have a handful as well. But, it could also be that they are just taking a break, or not interested in the update. The event is getting “mixed reviews,” and isn’t floating everyone’s boats. I like it OK…but, it is a huge letdown after the amazing Christmas Event. Don’t agree with you there Patric. I’m really enjoying this event so far but did not really think much of the Christmas one. Ok, I finished up with some nice stuff but there was very little to do. I do understand however for some that the simpler format, fitted into their holiday routine better, without the grind as in this new update. Extra tapping doesn’t bother me, bring on phase 2.